Perfect mix between classic and sportive. Also available in perforated version! 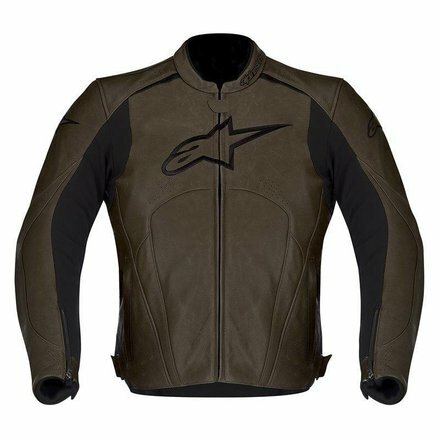 Full grain leather and extensive stretch microfiber inserts provide an excellent range of movement and flexible fit, while CE‐certified Bio‐Armor ramps up this jacket’s safety features. A modern classic design for warm weather comfort. Hard‐wearing 1.1 mm leather outer shell offers excellent durability and abrasion resistance. Localized high density perforation zones on front, back, arms and shoulders for additional interior cooling. Advanced microfiber stretch panels on underarms, waist and back give superb range of movement. Flexible, strategically placed leather accordion stretch inserts on elbows offer excellent sports riding fit. Full mesh liner improves comfort and ventilation and incorporates Velcro®‐securing inner pockets. 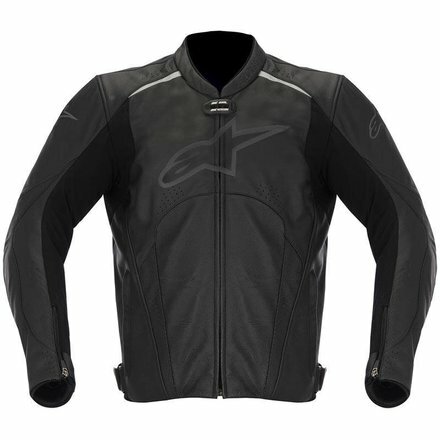 Alpinestars innovatively engineered pre‐contoured sleeve design reduces fatigue and aids performance fit. Removable CE‐certified Bio‐Armor shoulder and elbow protection for superb impact protection. 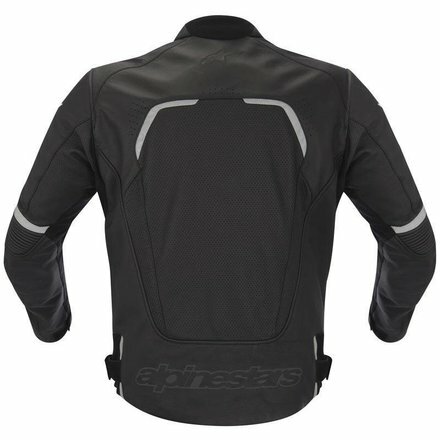 Chest pad compartments with PE comfort padding (Alpinestars Bionic chest pads available as accessory upgrade). 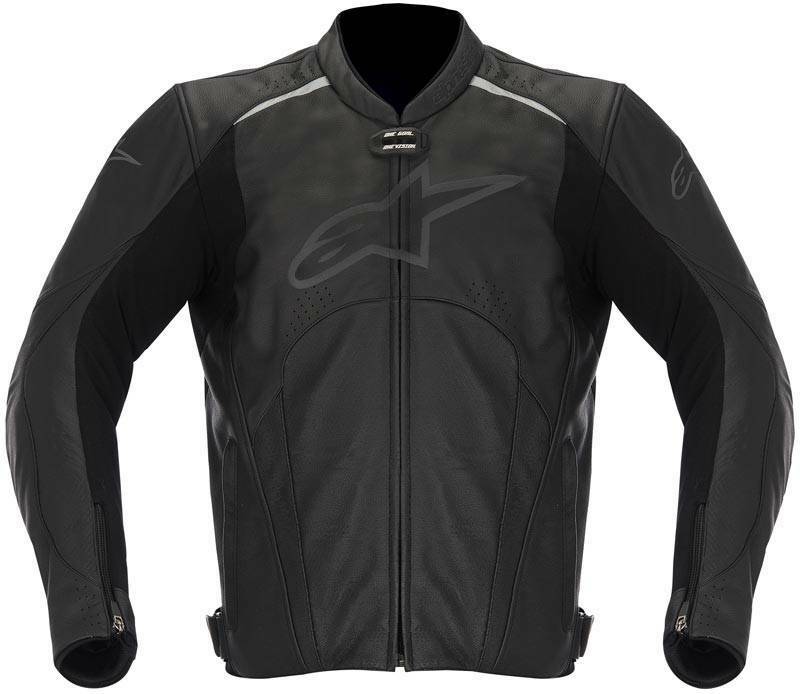 Back pad compartment with PE comfort padding (Alpinestars Bionic Back protector available as accessory upgrade). Cuff adjustment includes Velcro® and semi‐auto locking zips for improved range of fit and comfort. Combined Velcro® and D‐ring waist adjustments for highly customized, secure fit. 3D mesh structure and Neoprene® comfort edge on collar and cuffs for added comfort. 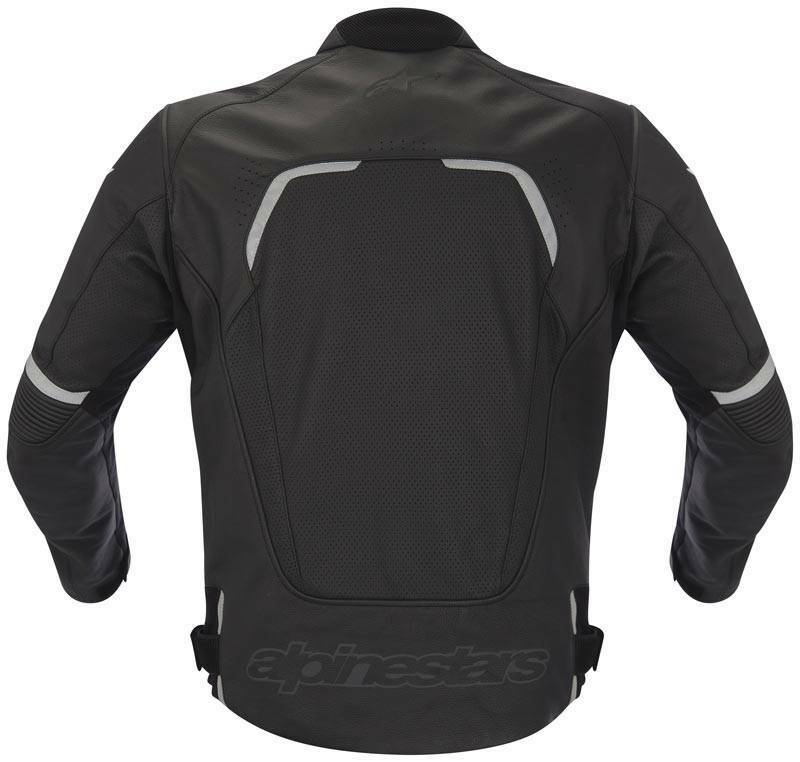 Reflective detailing shoulders, back, waist and arms to improve rider visibility. Internal waist connection zipper to allow attachment of Alpinestars riding pants. Embroidered logos on chest, sleeves, collar and back. TPR‐reinforced zipper tabs used throughout garment.